Sulphur Springs, TX - An elderly woman was mauled to death by her pet rottweiler on Thursday night, according to Sulphur Springs police. Betty Wood, 78-years old, was attacked and killed by the dog in her home in the 1400 block of North Davis Street. Police Chief Jay Sanders said his department responded to a call of a possible deceased person about 7 pm. The woman's daughter, who lives next-door, discovered her mother's body. Wood lived alone in the home. Through an initial investigation, his department determined that she was killed by her own dog, which she had owned for about 5-years. The Medical Examiner's Office in Dallas confirmed their findings. Sanders told KLTV News, "I've been doing this 30 years and that scene was about as gruesome as I've ever seen." 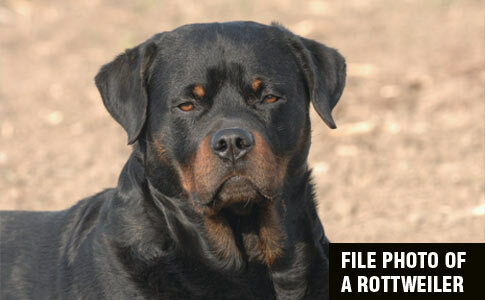 The family rottweiler was initially quarantined then euthanized on Friday. The Texas Rangers assisted the Sulphur Springs Police Department with the case. Had it been a pit bull there would have been a huge campaign to save it. I was literally just thinking this. When it's not a pit it's PTS ASAP, no one complains. When it's a pit, hoardes if people offer to adopt it.